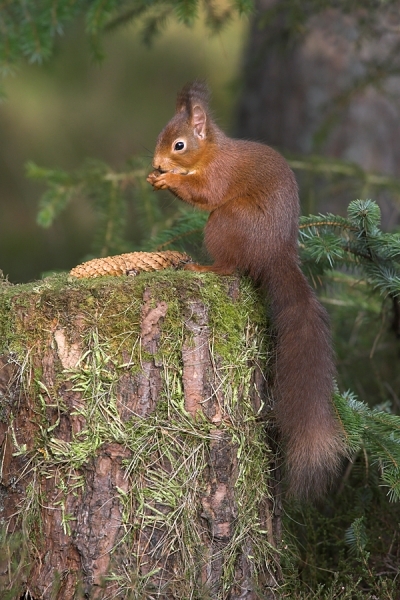 Home | Red Squirrels | Red Squirrel with spruce cone. Red Squirrel with spruce cone. Taken from my hide in a local Scottish Borders woodland.